Deacons share in Christ's mission and grace in a special way. The sacrament of Holy Orders marks them with an imprint ("character") which cannot be removed and which configures them to Christ, who made himself the "deacon" or servant of all. Among other tasks, it is the task of deacons to assist the bishop and priests in the celebration of the divine mysteries, above all the Eucharist, in the distribution of Holy Communion, in assisting at and blessing marriages, in the proclamation of the Gospel and preaching, in presiding over funerals, and in dedicating themselves to the various ministries of charity. For information about the diaconate in the Archdiocese of Los Angeles, click here. While the common priesthood of the faithful is exercised by the unfolding of baptismal grace, — a life of faith, hope and charity, a life according to the Spirit — the ministerial priesthood is at the service of the common priesthood... and directed at the unfolding of the baptismal grace of all Christians. For information concerning diocesan priesthood in Los Angeles, click here. 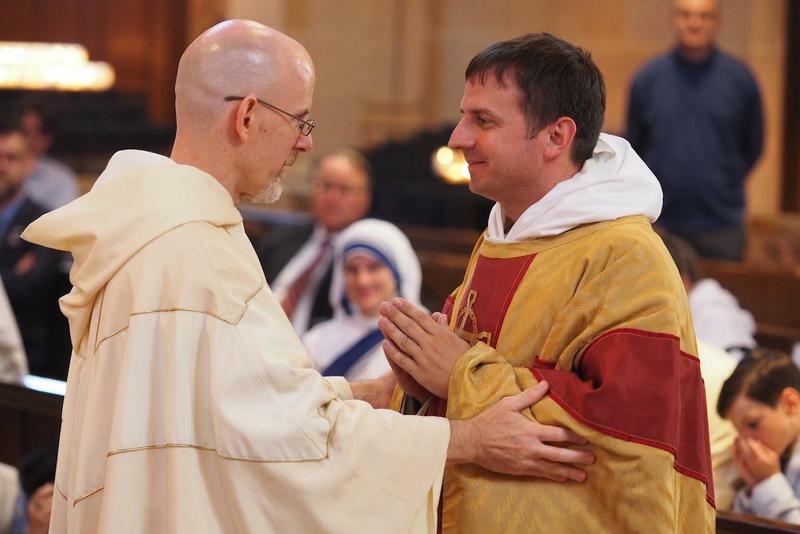 For information concerning a priestly vocation with the Western Dominican friars, click here. "A vocation is a fruit that ripens in a well cultivated field of mutual love that becomes mutual service, in the context of an authentic ecclesial life. No vocation is born of itself or lives for itself. A vocation flows from the heart of God and blossoms in the good soil of faithful people, in the experience of fraternal love."